It’s good news, if you are someone who loves to play baseball. Your search for that perfect baseball bat bag which will carry your equipment is about to end. For, we have shortlisted here the ten best baseball bags in 2019 available in the market. Some of these are multipurpose ones. So, whether it’s your baseball bat, gloves or your helmet, doesn’t matter. You can carry anything you want. Read further to know which is the best baseball bat bag for a hassle free trip to the playground and back home, after you are done playing. 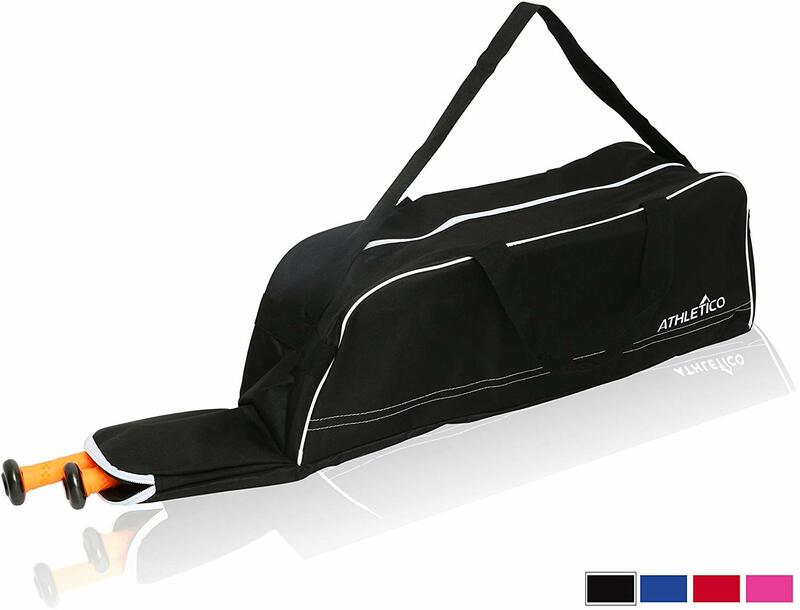 When it comes to a spacious baseball bag, Athletico doesn’t fail to impress everyone out there. This tote bag comes with the dimensions of 35*7.5*9.5” and comes in four bright colours of black, blue, pink and red. Each tote bag has a compartment for two baseball bats to be kept, along with another compartment for the whole baseball gear, including the baseball helmet. The bag is affordable and judging from the plus points, this tote bag is a good buy. Apart from the main storage compartment, there are also extra side pockets that can hold necessary stuff such as phones, wallets and keys. To increase the visibility, there is also an integrated fence hook for hanging in the dugout. Made with 600 Denier polyester, these totes are so durable and rugged, that it can be used for many years. An adjustable shoulder strap runs over the shoulder of the user, keeping it fit and secure. Overall, there is not much issue with this simple looking tote bag. The material is durable and can last long, which is required in cases of a sports bag. A bat bag is not just a bag. You need something that will impact inspiration and motivation when you are walking or playing. So, when you think about acquiring one, a perfect solution is Easton E200P Bat Pack.it comes with lots of incredible features despite its compact size. One of the impressive things about this backpack is the front positioned pockets. Unlike other bags which you have to put down to get you’re playing bats, this one you can do it while it is in the back. Both side pockets are designed to allow easy access when you need your bats. Further, putting them back to the pouches is easy and can be done while the bag is still on your back. Dense padding in straps and back: when it comes to comfort, you can bet on this bag. It features a heavy padded back, which is ideal when you are walking for as longer distance. It prevents your back from strains, which can lead to back pains. Apart from thick back padding, straps are also adequately padded. They ensure that your weighty bag doesn’t cause your shoulders to hurt due and you experience maximum comfort. Dual exterior pockets: there is no need to carry your playing bats with your hand. This Easton E200P has double pockets to enable you to carry them without a hassle. They are sturdy featuring neoprene construction; hence, weight won’t compromise them. Available in a variety of colors; choose your color and feel the satisfaction. The backpack allows you to have the color of your choice, unlike others, which are restricted to a single color. It is available in 7 colors. Easton E200P Bat Pack is an excellent bag for use by all people whether adults or student. It is durable and allows you to carry more weight while enjoying comfort. Sporty in look, with all those crisscrossed laces and quite durable, the baseball bat bags from Athletico are multipurpose bags. They are highly long-lasting, given the fact that they are made with the highly dense 600 Denier Oxford polyester. The bag has room for all, including two baseball bats and the player’s gear which includes batting gloves, baseball cap, cleats, catching gloves and of course, the baseball helmet. The sports bag is highly adjustable, which has padded shoulder straps, along with lumbar protection. The built-in ventilation also provides cooling comfort and keeps the stink of the sweat away. Besides the main compartments, there are extra pockets to hold valuables like smartphones and wallets. Oh, and car keys even. For better access, there is an integrated fence hook for the dugout, teamed with bungee cords in the front to store hats or a pair of gloves and a space to keep a pair of shoes. They are available in seven variety colours and each one of them is quite competitive in looks with the others. That’s one trendy looking sports bag with all the best qualities like durability, accessibility and also it is quite affordable. Now, this one is a show stopper and will surely turn a lot of heads your way as you walk down on the way to a baseball game. It is usual that a baseball player who is always on the go might need to carry a bit more extra luggage, wherever he goes. The Rawlings Covert Player duffle bags are the most convenient baseball bags which are both durable and affordable in the market. The duffle bag keeps all items organised within, therefore there is no chance of unkempt articles. The duffle bag’s dimensions are 15*3.5*13.5 inches and have a very impressive storage capacity. The bag can hold two bats and all the main gear, with additional space for a pair of shoes, a pair of clothes and energy drinks. To protect against moisture, the bottom base is covered by durable vinyl which doesn’t allow liquids to seep in through the bottom and make their way up. The top panel is removable for added personalisation. As there is a compartment for a pair of shoes that is ventilated, one can worry less about moist and muddy shoes smelling bad in there. There are zippered pockets inside the bag for valuables to be kept. The Rawlings duffle bags are available in five trendy colours. The large compartment space is quite cool as it can hold in a lot of things and also can keep shoes separately, without causing to smell bad. This is a quite convenient, apart from the fact that the bag looks trendy. Carry your bats with ease, comfort, and convenience; get this bat bag from Easton. It is a heavy-duty bag designed to transport your two bats while they are protected adequately. This is unlike the backpacks, which leave your bats, exposed leading to exposure and prevailing conditions. It has a structural piping, which enables maximum volume. Therefore space perfectly fits the two bats without pressuring the bag. Carry and store your personal item with this bag without any chances of damage from the bats. They are designed with strategic configuration and padding which reduces contact between valuables and the bats. Therefore, you can carry your phone and others media devices to keep you entertained insides this bag. When you are buying equipment bag, durability is one of the considering factors. Easton E100T is created to offers durable services. It is constructed from a heavy-duty material; T420D hex rip-stop, 600D polyester. This material ensures it last longer. The bag is elegant and durably constructed. 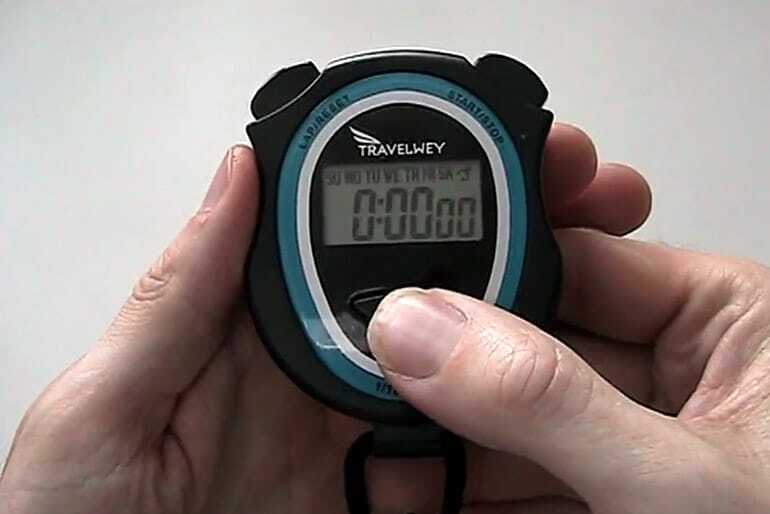 It is ideal for accommodating your sports gears as well as your valuable items. It is an excellent bag for all baseball enthusiasts. Baseball playing is now easier than ever with Franklin Sports Junior Sports Equipment Bag. It is a fabulous bag suited for newbies and experts. It is a simple to carry bags featuring shoulder straps and handle straps. Unlike in other situation where you are forced to carry various bags, this one relieves you from that. It is fitted with shoulder straps, which allow you to carry heavy loads. On the other hand, when the equipment aren’t weighty, you can use hand straps. Moreover, when you are engaged, the bag offer has a fence hook, to allow easy hanging. The bag is extras spacious to accommodate up to 3 bats. 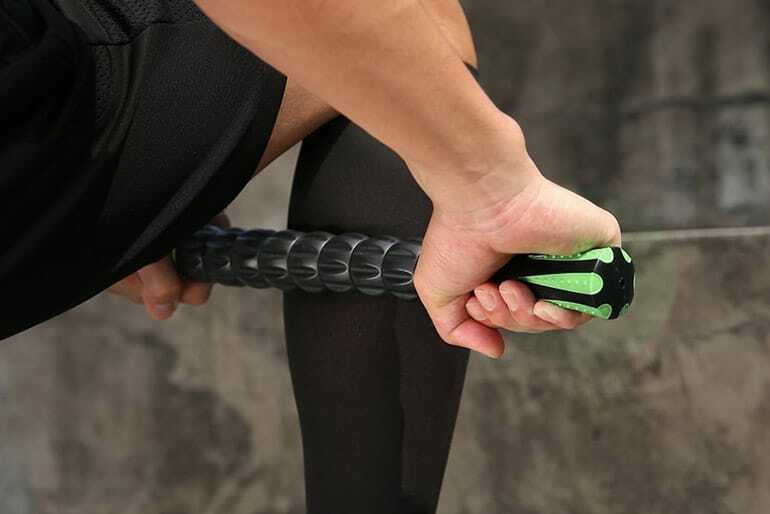 This is ideal since you can Cary your many favorites bats to increases yours game skills. Also, you can combine various sized bats hence increasing your molars each bat is held it its separate pockets to reduce inconveniences whens you are moving. When you are arranging your items, the bag provides separated compartments for a variety of equipment. Apart from divided ones for bats, the rests of the gears are stored in a separate compartment. It is spacious capable to fit a helmet, gloves, and other essentials. Additionally, the cleat compartment is ventilated. Franklin Sports Junior Sports Equipment Bag is the perfect bag for the young players. It is dedicated to offering enough space for all equipment excellently. We can guarantee it is an excellent choice you can make. Are you finding a bag that you can rely on to makes your baseball playing a success? Don’t look any further; Louisville Slugger EB Series is a perfect answer. It is designed to offers transportation solution to all your sporting equipment organized and safe. It has a spacious storage compartment, which allows easy storage. Unlike other bags, which you squeeze your item when storing, this one has large openings, which allow smooth sliding. 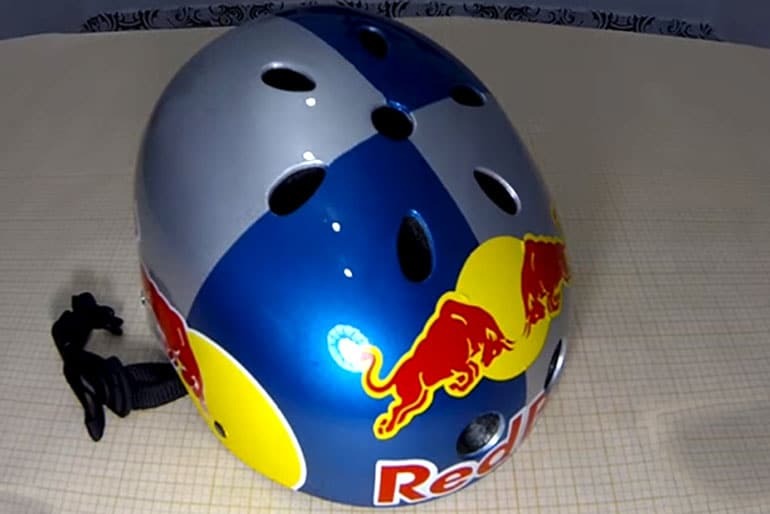 Whether you are storing helmet, which tends to be challenging, it will provide a smooth opening as well as others playing gears. The bag is ideal for carrying a helmet with facemask. At the sides, it is fitted with sturdily constructed sleeves to accommodate your two bats. They are enclosed featuring tough fabrics unlike in other bags, which are built from a weak mesh. The back is enhanced with a dense padding to make it comfortable when you are carrying. The padding is furthers extended to shoulder straps for easy and comfortable carrying. Despite its large capacity, is enjoys a compact design to cuddles your equipment properly. This bag is available in 7 colors; therefore, you can choose your favorite. Louisville Slugger EB Series Baseball Equipment Bags is an amazing bag to buy. It enables safe and convenient transportation of sports gear and personal items. For every baseball fanatic, it is a bag to get. The black super cool backpack from the Boombah’s is a baseball player’s best accessory. The player can take a total of four bats in this backpack and is a gem when it comes to the storage compartment. Made with heavy duty black nylon, this backpack resists all wear and tear and is dust resistant. Easy to wash, this jet black backpack can be also used during mini trekking trips. From the perspective of a player, apart from four bats, this backpack can contain the whole gear. The dimensions of the backpack are 23.5”*13.5”*9.5” and it’s large enough to keep extra items other than game essentials. Two side compartments are for the bats while the middle large compartment is quite spacious. The zippers on the backpack are made of heavy-duty materials, which can resist any amount of force exerted, making it impossible for them to break that easily. The J hooks provided is designed in a way to hang on the fence. The black and white combination makes it look casual and trendy. Almost nil negative reviews till now, isn’t the bag too good? The least complaints on this one, so this one can be pitched as one of the best. Look at the black and white combo on the bag, isn’t it trendy? If you are aspiring to become a baseball player, you have a reason to smile. You can now carry all yours playing items with this compactly designed backpack from Easton. Intended for young players, it provides inspiration whenever you are moving your items: it is non-sagging or oversized. It has a double bat pockets, which you can also use to carry water bottles. The sleeves are meshed and stretchy to fit your bats perfectly while providing a secure storage. There is no putting your bag on the ground when you are playing or training. The J designed hook allows you to hang it on the fences thus keeping out of dust. This makes it possible to maintain the bag clean for a long time and also cleaning a smooth job. Besides having a hanging hook, carrying is easy and comfortable. It has padded straps, which reduces stress on shoulders while facilitating balanced weight distribution. The durably constructed bag is strong and can carry heavy weight without tearing. 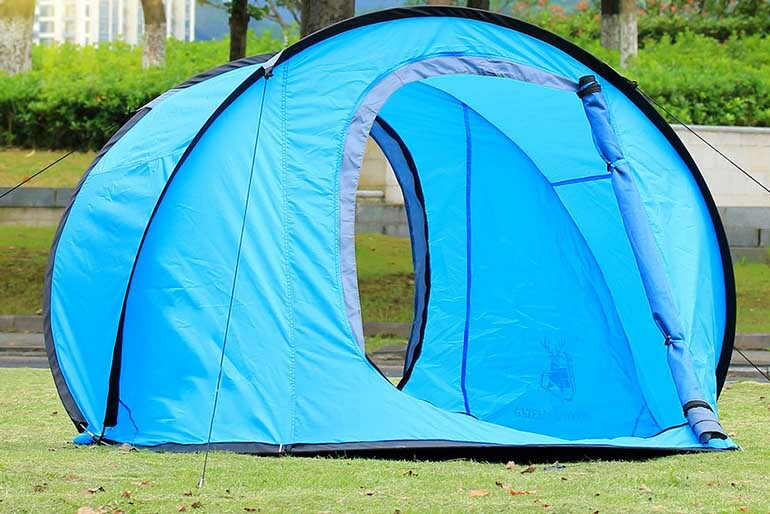 Its exterior is sewed from tough T4200 hex rip-stop, 600D polyester, which delivers excellent strength. Its exterior pockets are zippers enhanced for the safety of the carried items. Easton E100P Bat Backpack is the perfect gift you can give to your junior. It is purposely designed for young players hence will fit him perfectly. It is compact and durable with a sleek design and beautiful finish. From the name itself, it’s pretty much clear that this bag is undeniably high in terms of quality and looks. Available in five different colours, the baseball bags from Under Armour Undeniable Bat Pack have dimensions of 20*15*2 in and can be also used for soccer and softball alike. This is a great backpack which has great strength in terms of fabric and the J hook used to hang the bag on the fence is particularly strong. Bottles, caps, extra clothes, extra shoes and almost anything and everything required for a match or game can be contained within the bag. The Storm DWR finish keeps the items inside the bag secure from rain and severe wind. Sometimes the zippers can give away, but that happens only in rare cases where there was too much pressure applied. This is a pretty bag with all nice features. Due to it’s quality finishing, this tops on the list of affordable and quality bags. Size and Design: Size is one of the determining factors when it comes to bat bags buying. Depending on the bag design, it greatly influences the number of bats it can fit. Some of the bags can accommodate more bat than others due to their design rather than size. Some bags are constructed with a single compartment and equipped with pouches on the sides. These small pockets are designed to accommodate water bottles or baseball bats. On the other hand, the size of pockets differs in size; hence the bag will be ideal for carrying other baseball equipment such as gloves, pants, sunscreens among other accessories. Another type of design is an internally divided bag into small compartments. This ensures you carry your equipment when more organized. 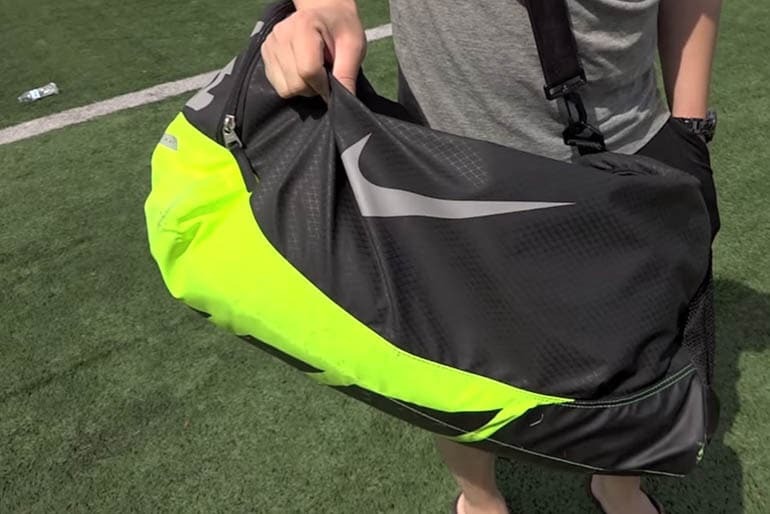 The majority of the sports tools are insides the bag and it has a few pockets. The punches are for larger items such as bats which can’t fit inside the bag. However, some bags are large, and every item fits inside the bag including bats. Style of Carrying: When it comes to the designing style, we have various types. Some are simply designed only two bats while others can carry many bats. However, comfort and weight distribution are the primary consideration in all available styles. Wheeled bags: these bags are enhanced with casters, which allow the user to pull with ease. They are ideal to carry more baseball accessories besides bats. Backpack: These are the newest and common among many players. They are just regular school bags with enhanced pockets to accommodate the playing bats. They feature shoulder straps, which ease carrying and weights distribution. Handheld bags: these are long and narrow bags designed to accommodate multiple bats. They resemble duffle bags and are fitted with two straps on the top to allow easy carrying. Shoulder straps bags: just like wheeled bags these shoulder strapped bags are ideal for carrying weighty equipment. They are enhanced with comfortable shoulder straps to evenly distribute weight allowing you to carry your gear for a longer time or distance. Material of Construction: The material for bag construction determines its durability. Therefore, whenever looking for a bat carrying bag, go for one with strong material. A robustly constructed bag is ideal and will fit in all conditions. Besides looking for a strong material, the inner side should have a soft sewing to ensure you experience comfort when carrying. Conclusion: Baseball bat carrying bags are important, as we have seen. They are designed to provide care to helmets, gloves cleats among others. Therefore, it is not ideal to carry your equipment with your hands, or with unsafe packs. With one of the bags, you are going to enjoy your gaming than ever. 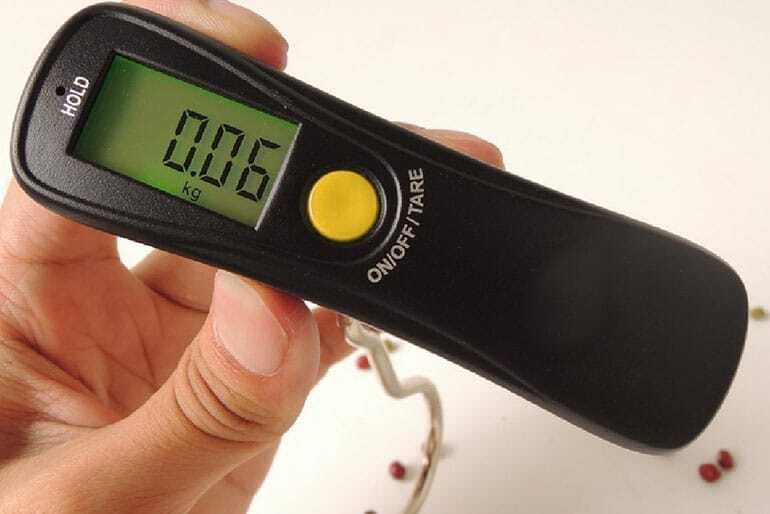 Check these fishing scale buying guide. […] Baseball is one of the world’s most popular sports and a lot of people play it as a hobby. The ones that are serious about it also spend money on gear. Not everyone limits their budget to just a bat and a glove, baseball bat bags are also on the shopping list because of their convenience and storage space that was specifically designed for this sport.